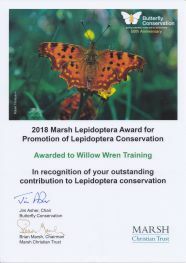 In 2018, Nelson's Wharf's sister company, Willow Wren Training, was honoured by the presentation of the 2018 Marsh Christian Trust Award for Promotion of Lepidoptera Conservation by Butterfly Conservation. The award reflect years of work by Willow Wren Training and Nelson's Wharf at the Wharf with a great deal of help from the superb staff and volunteers of the Warwickshire Branch of the Butterfly Conservation. Nelson's Wharf is adjacent to the ten acre Stockton Cutting Site of Special Scientific Interest, (SSSI), of which approximately eight acres is on Nelson's land. 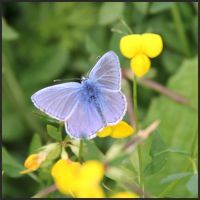 The SSSI is managed on our behalf by the Warwickshire Wildlife Trust and Butterfly Conservation. Learn more about Warwickshire Wildlife Trust here and Butterfly Conservation here. Willow Wren Training has always been as environmentally friendly as possible by the use of Eco friendly cleaning products, formaldehyde-free toilet fluid and recycling as much as we can. All the buildings at Nelson's Wharf are extremely well insulated and heated by a ground source heat pumps which in turn are partially powered by some 14Kwh of PV solar panels. The buildings are relatively carbon neutral and made predominantly from sustainable timber including the Western Red Cedar cladding. 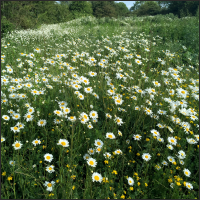 When the first building was erected, we created a wildflower meadow using a seed mix made up to a special recipe which matches the natural flowers on this soil in this region. It cost hundreds of pounds for a 25kg bag but it has paid off. We now have a natural meadow which has been inhabited by the many invertebrates including the Common Blue butterfly. The butterfly isn't very rare but it is the fact that it has populated the area so quickly that makes it significant especially in an area that was chest high with brambles and nettles a few years ago. In the winter of 2018/19 we laid over 100m of roadside hedge, seeded a 5m wide, 200m long strip alongside the canal border with a range of wildflowers and cleared diseased trees and invasive sycamore an area of woodland where we hope to eventually create a woodland pasture for birds and butterflies. We are naturally proud of our ecology strategy. 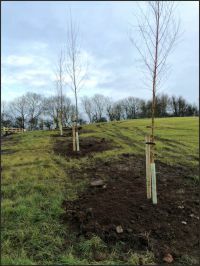 We have now planted over 1000 trees and shrubs including Elm, Cherry, Crab Apple, Holly and Oak with another 1000 hedging plants plus 25 Silver Birch planted in December 2017. More have been planted in spring 2018. 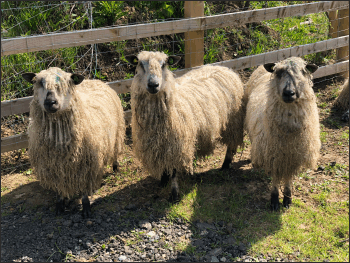 We have also been improving the grassland on our fields including grazing with rare breed sheep. We have now completed two years of butterfly monitoring and the latest results, (December 2018), show another great increase, in the numbers recorded. Work continues in association with Warwickshire Butterfly Conservation.